Scroll down for our review of Navy Yard and a cocktail recipe that you won’t want to miss. 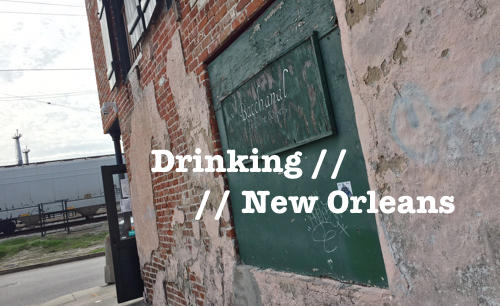 Ever since my last trip down to New Orleans I’ve been on a big rum kick. Blame it on Beachbum Berry, or a quest to make the ultimate Mai Tai… whatever it was, the rum bug hit me big time. 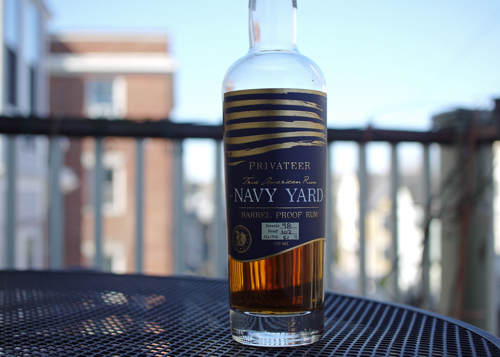 My latest acquisition, which I was rather pleased to stumble upon and has since proven to be quite delicious, is Privateer’s Navy Yard—a barrel proof rum made in my home state of Massachusetts. If you aren’t intimately familiar with the history of New England or the history of rum in America, you may be interested to know that Massachusetts actually has quite a deep history of rum making (and rum drinking). In fact, according to some estimates, by the early 1700s the state was producing 200,000 gallons of rum each year and Boston was home to more than 25 distilleries. The recent boom of craft distilling has re-inserted rum-making into the mix in Massachusetts, with distilleries like Bully Boy, Berkshire Mountain, Turkey Shore, and of course, Privateer (amongst others), all contributing to a growing offering of local rums in the commonwealth. Collectively, there’s no doubt in my mind that this is one of the best craft rum scenes in the country right now. Out of all these producers, though, Privateer is the standout. At least as far as rum is concerned. The distillery, which was founded in 2011, has earned a reputation well beyond state lines and has already received many accolades for its products. Privateer’s flagship Amber rum is made from a base of molasses and real boiled brown sugar, and is double distilled and matured in a mix of new American oak and used bourbon and brandy casks. It’s some really good juice. 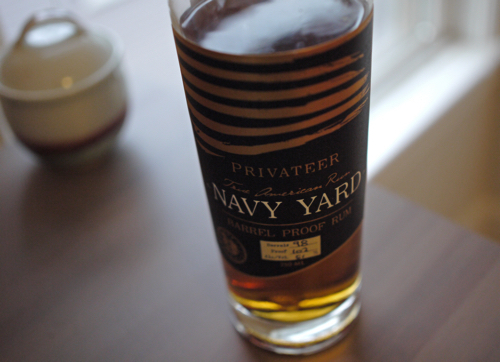 But, the rum that’s been making its way into my glass on a very regular basis lately is Privateer’s Navy Yard, the distillery’s barrel (navy) proof, single cask rum made from 100% grade A molasses. 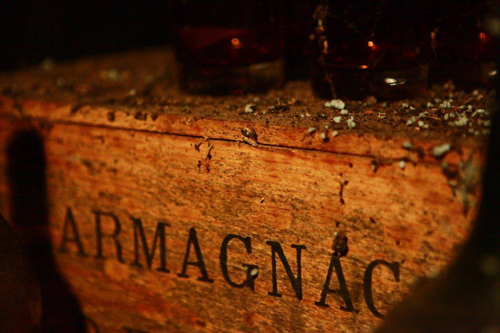 Each batch of the rum is aged entirely in a new American oak cask for about about two-three years. My bottle, which comes from the most recent batch (their third to date), is bottled at two years, 102 proof and is released in a limited quantity of a little over 200 bottles. 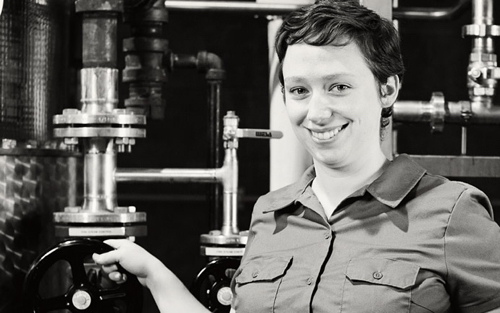 I recently had a chance to connect with Privateer’s head distiller, Maggie Campbell, who mentioned that Navy Yard will become a regular release in the near future. The company went through a fairly sizable distillery expansion in the summer of 2014 which has allowed them to increase production and start putting down more barrels; so “come spring of 2017” she said, “Navy Yard should be available consistently year round.” She also mentioned that the Navy Yard expression may be getting older as their stocks continue to age. If you’re looking to score a bottle of Navy Yard now, Maggie mentioned that the next barrel will be released in June… so keep your eyes out. And for those of you outside of Massachusetts… maybe 2017? Fingers crossed. 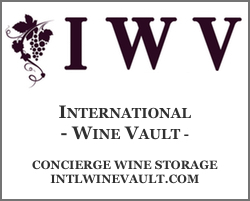 On the nose there’s notes of orange and molasses, a rich honey perfume, vanilla, nutmeg, fig and wood-soaked fruits. The spirit is pretty hot on first go, which is to be expected considering the relatively high proof point. But, it definitely can be sipped and enjoyed neat without any water. In fact, for my personal taste I think the alcohol has got a really perfect bite right out of the bottle. On the palate the flavors come together beautifully, with dry baking spices, orange, tobacco smoke, chocolate, vanilla extract, and custard all coalescing around a long, peppery finish. In sum, wow. This is a really stellar rum, in any context (American or other). 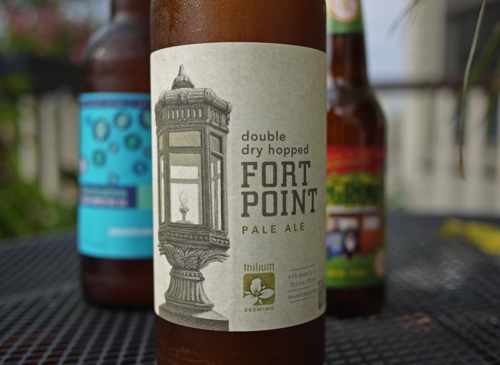 It’s got complexity, layers, deliciousness and it showcases a distinct perspective. I’d go so far as to say that this is one of the best American craft rums on the market. Nice work, Maggie Campbell. Highly Recommend. 92 Points. Need a cocktail… or three? There’s no question that this is a rum to be savored neat, but it also makes a great cocktail. Especially with that extra booze kick. Just treat it well and make something nice. Like this delicious little number… which, coincidentally, has also been finding its way into my glass quite a lot recently. Mix all ingredients together in a mixing glass with ice. Stir and strain into a cocktail glass. Garnish with an ogange peel.